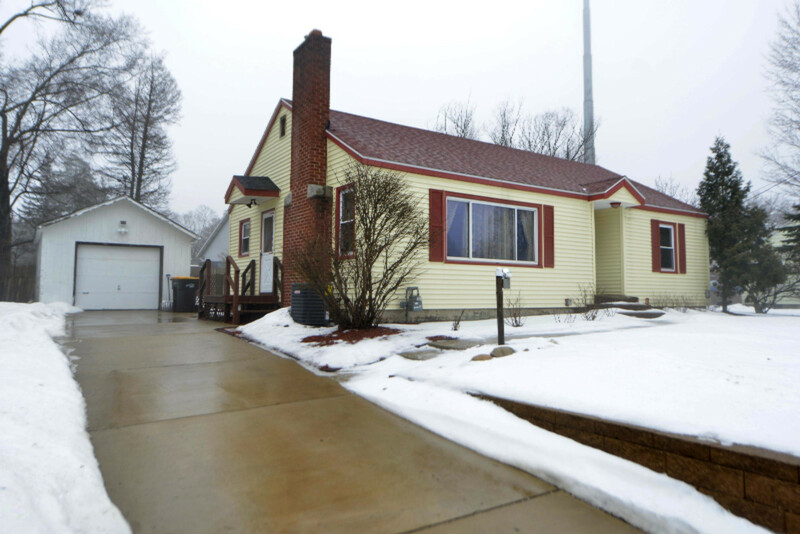 Enjoy this spacious Rockford Ranch with many major improvements, where everything downtown is a walk away! Features include a large master bedroom with dual closets, a slider to covered deck, vintage sunken tub, cool fireplace. Home has a new roof, new siding, new carpet, furnace and water heater. Home sits highest on the block, no drainage issues, street paved and new storm drains in 2013. Located off of the White Pine Trail with bike access from Grand Rapids to Cadillac. Sneak a peak of existing hardwood floors in the hall closet.